The Freight Transport Association (FTA) has questioned the government's stance on the delivery of strategic river crossings up and down the country and argued insufficient planning to meet future needs is taking place. Responding to the House of Commons Transport Committee's damning report into the provision of strategic river crossings, the FTA believes more focus should now be placed on addressing the future needs of the nation, rather than responding to present problems in infrastructure. FTA head of road network policy Malcolm Bingham argued: "All too often we seek to just unblock the congestion we currently have rather than considering the long-term needs of the country. "We fail to plan adequately for future development and growth and this lack of action is constraining the competitiveness of the UK." 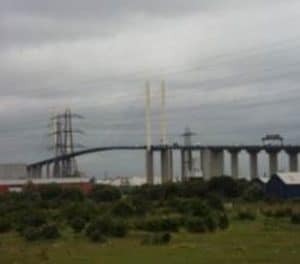 Indeed, these issues are highlighted at the current planned improvements for the A282 Dartford-Thurrock crossing, with two sites now being considered for development. However, despite these improvements in the area, Department for Transport modelling anticipates that by 2020 northbound congestion will have returned to the level witnessed right now – it therefore ultimately fails to deliver long-term benefits to travellers and the nation as a whole. "London's population is soaring and the majority of housing and jobs growth will be accommodated in east London, yet this area is the poor relation for river crossings when compared with west London," Mr Bingham concluded. These are all problems that a long-term focus on river crossing delivery could help to tackle, the FTA claims.